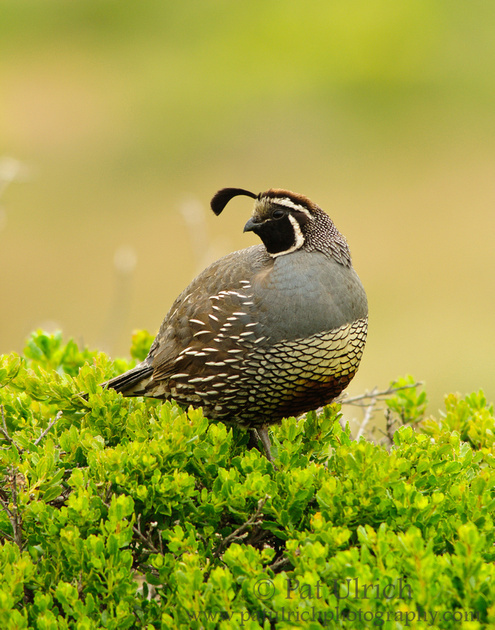 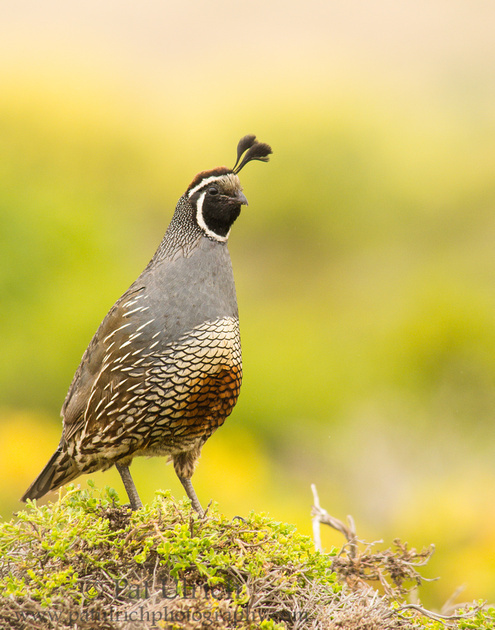 On my first photography outing in 2011, I had a nice encounter with a California quail in Point Reyes National Seashore, and it turned out to be a great year of quail images for me. 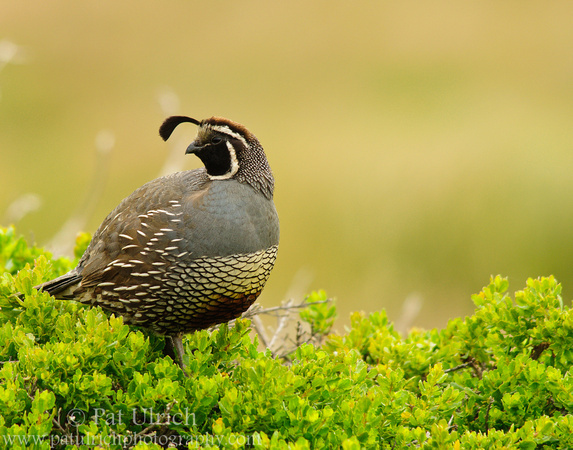 Since I haven't made it out with my camera yet in 2012, I thought I'd post a few shots of a quail in honor of my unofficial "Year of the Quail" last year. 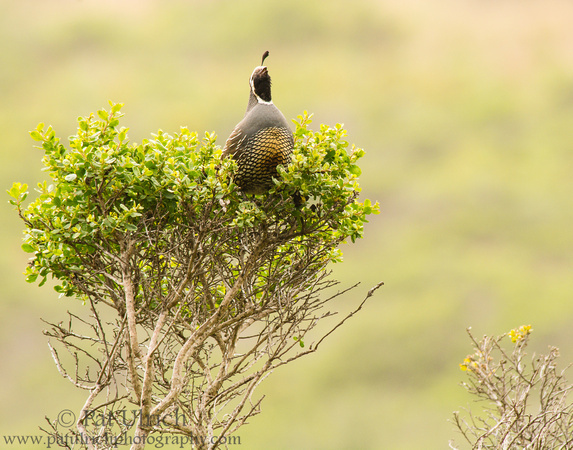 These two shots are of the same bird in the same bush just moments apart, and I couldn't decide between them as to which I liked more. 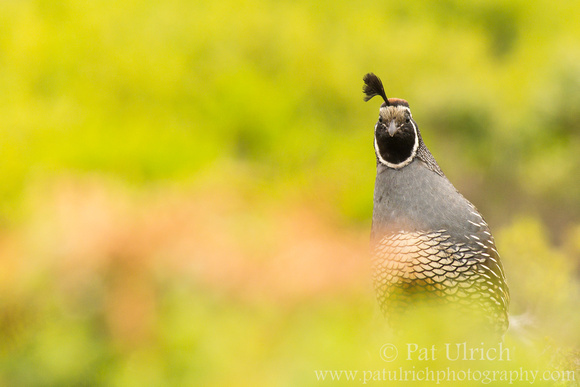 I decided to include both as another example of why its a good idea to rotate the lens when you have a cooperative subject. 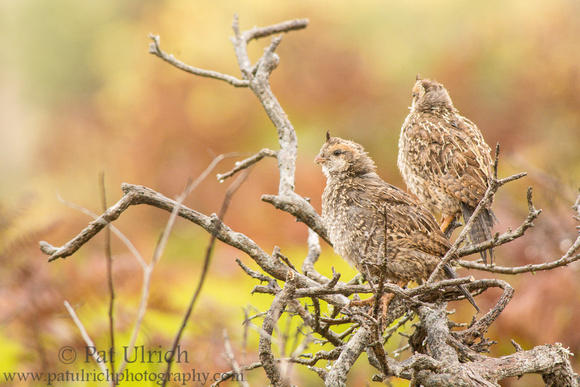 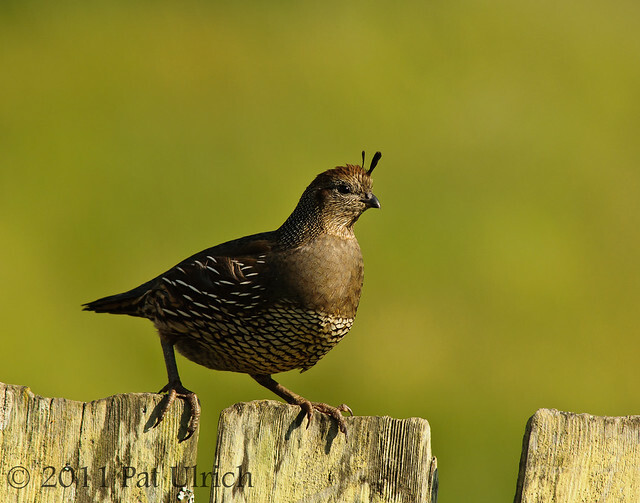 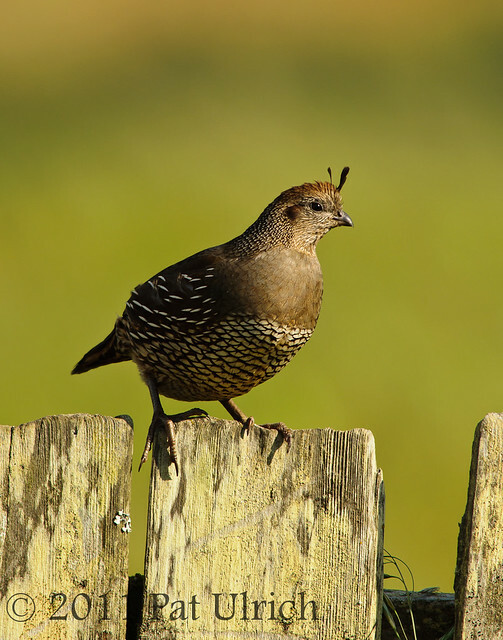 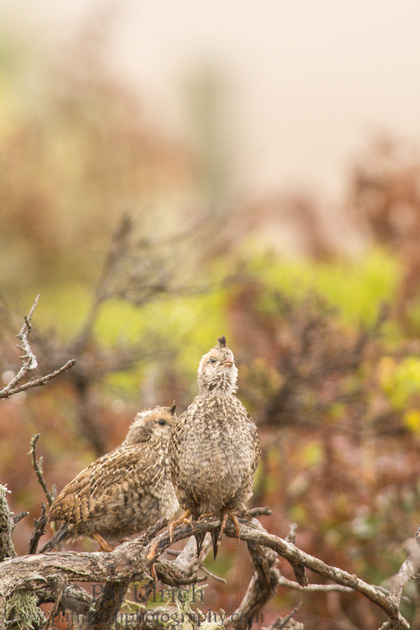 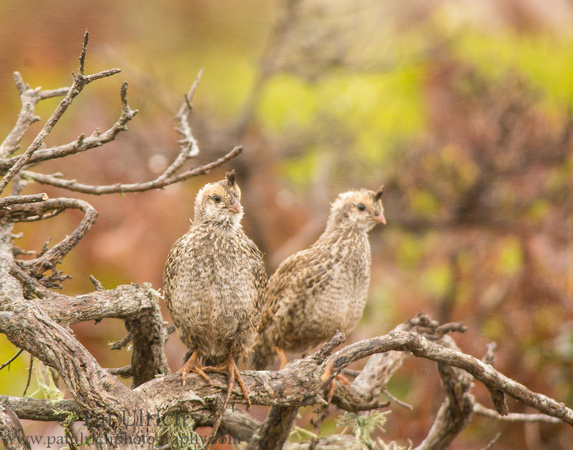 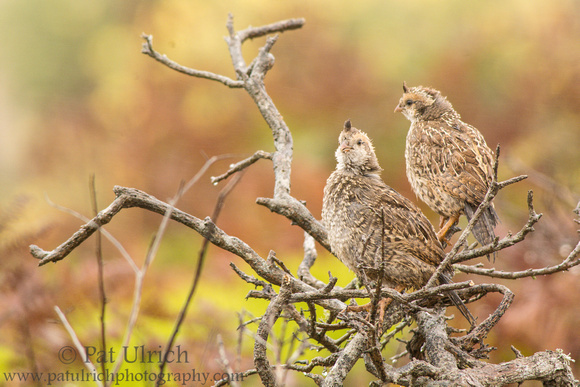 Each image has its own feel -- to me, the vertical frame is more about the bird and the horizontal is more about the quail as part of its environment -- yet they were taken just moments apart. 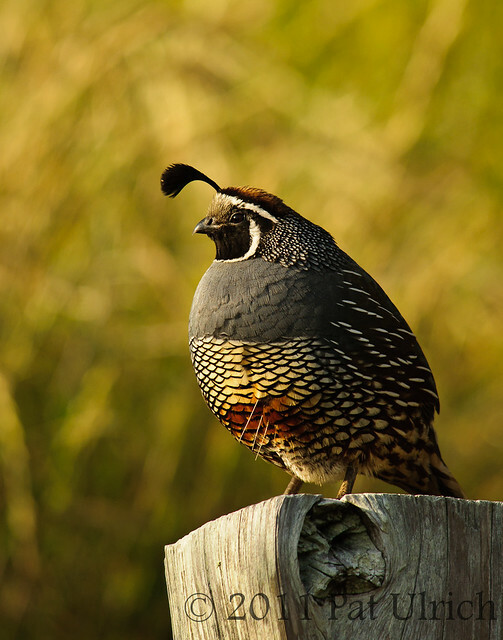 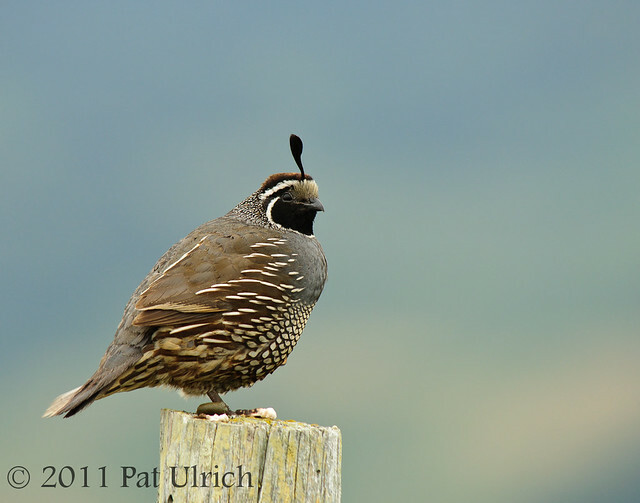 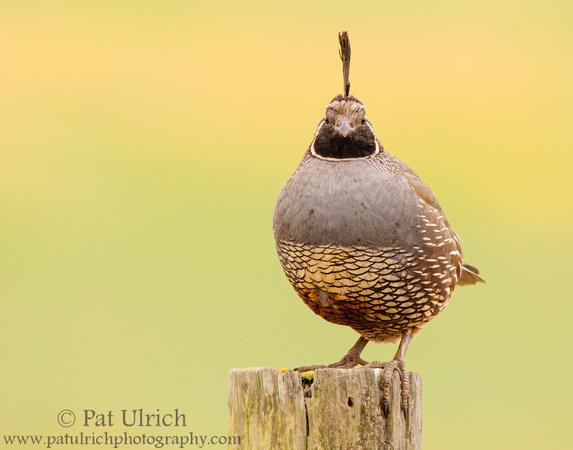 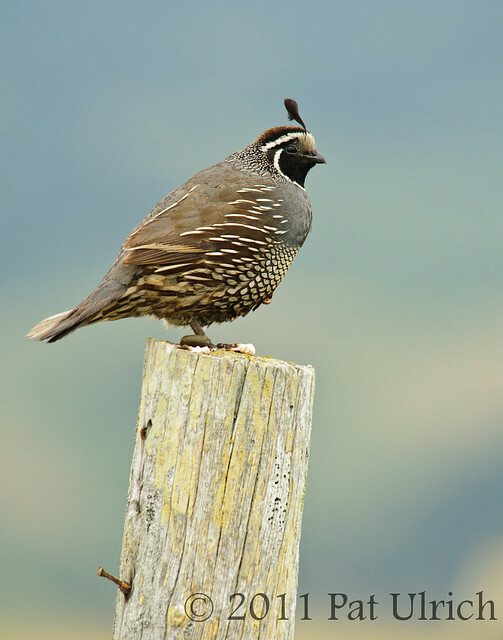 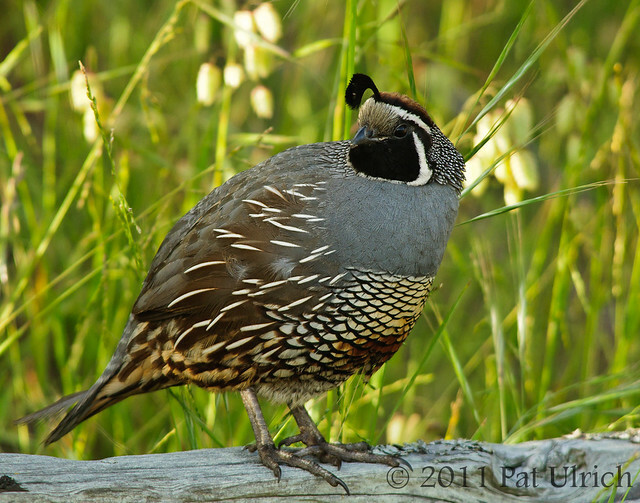 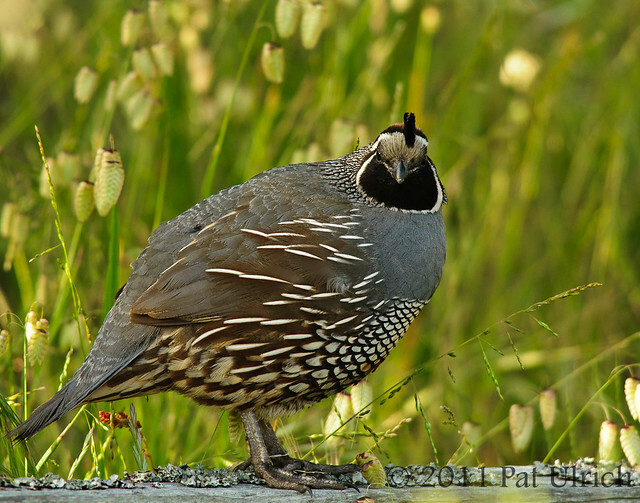 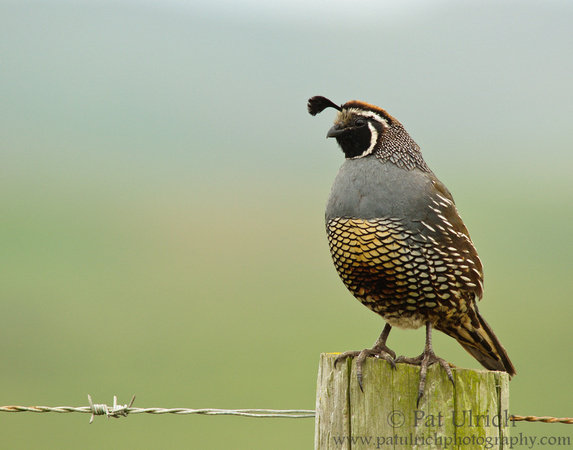 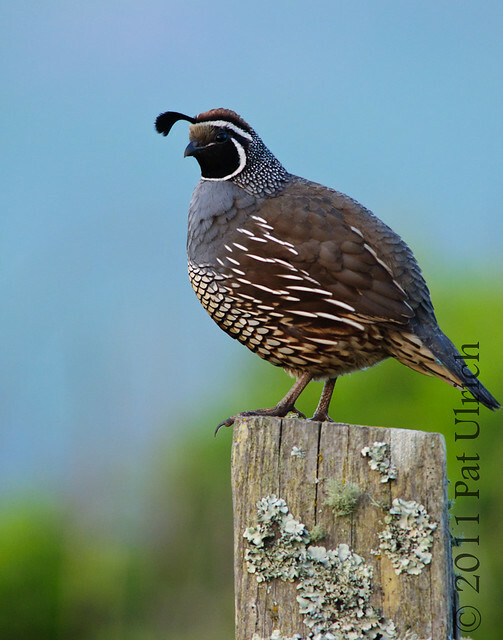 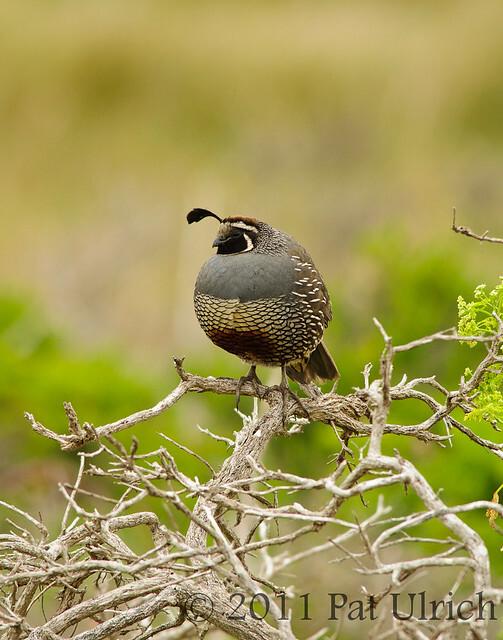 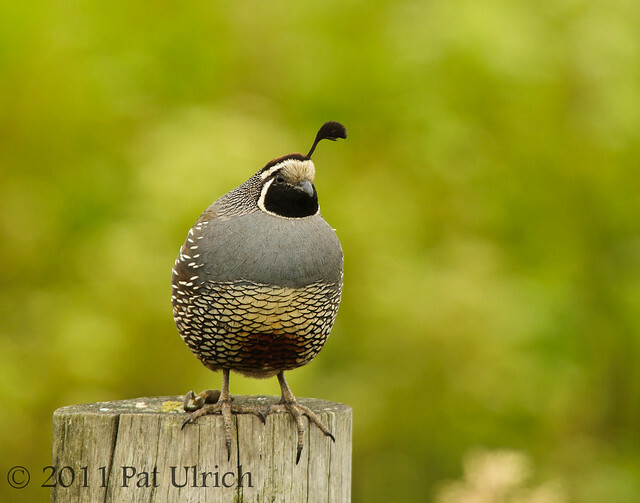 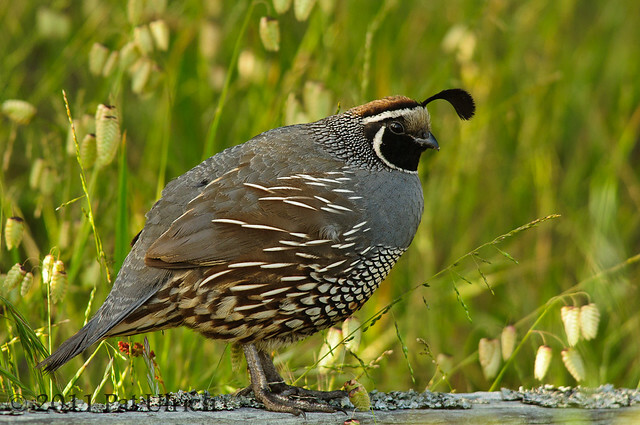 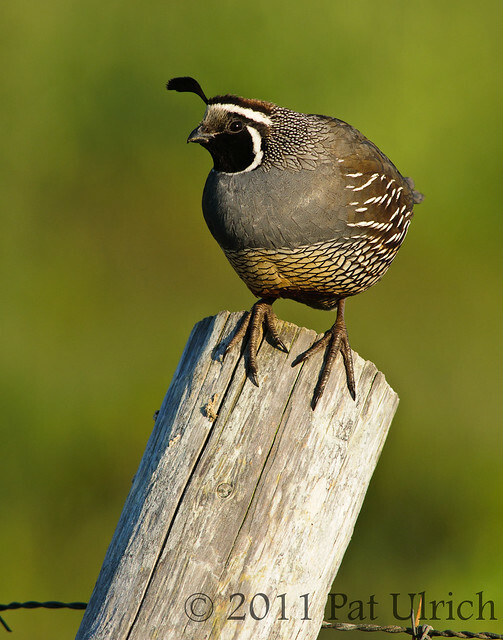 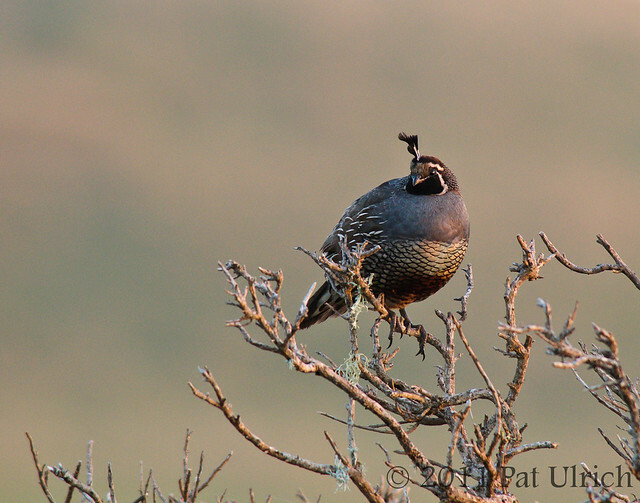 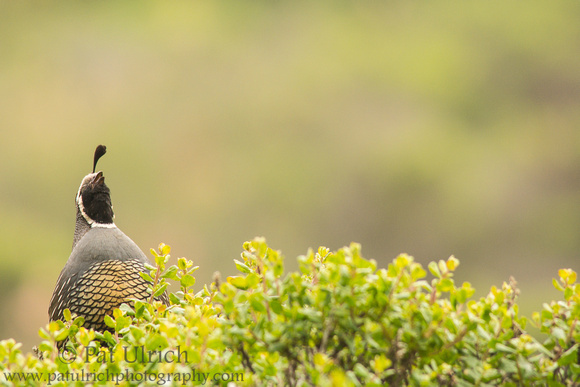 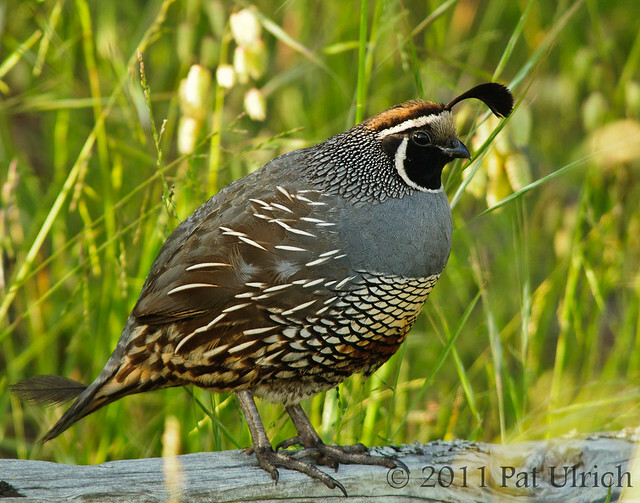 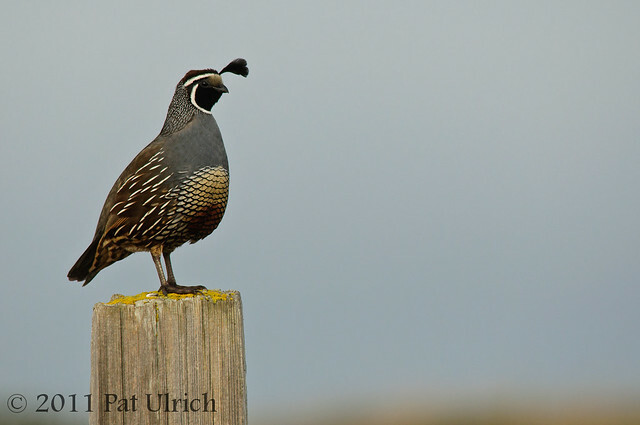 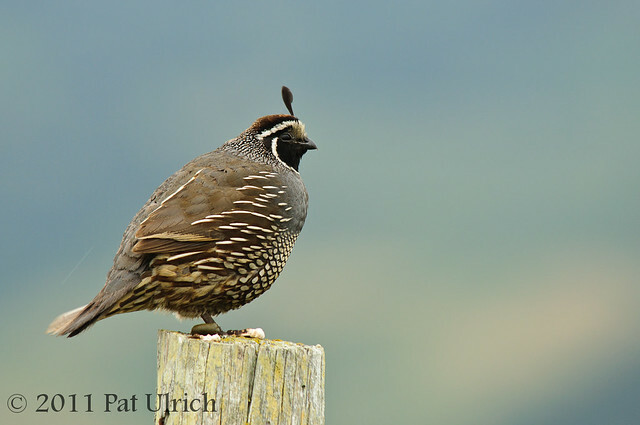 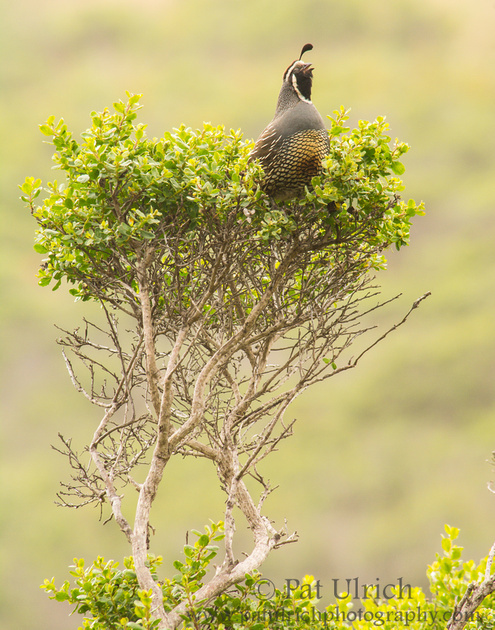 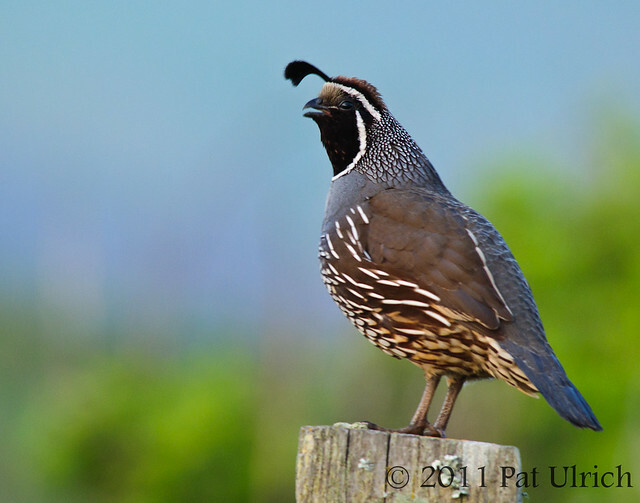 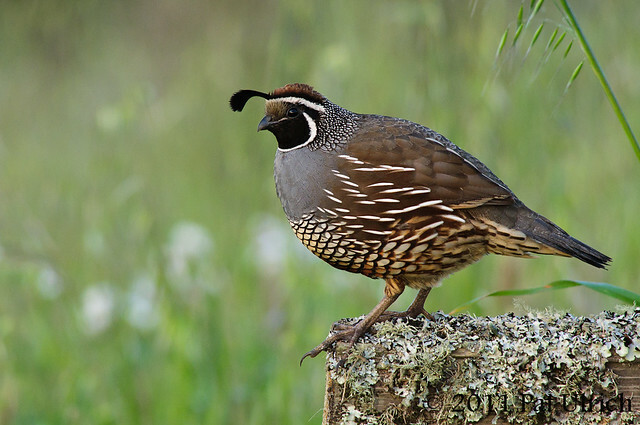 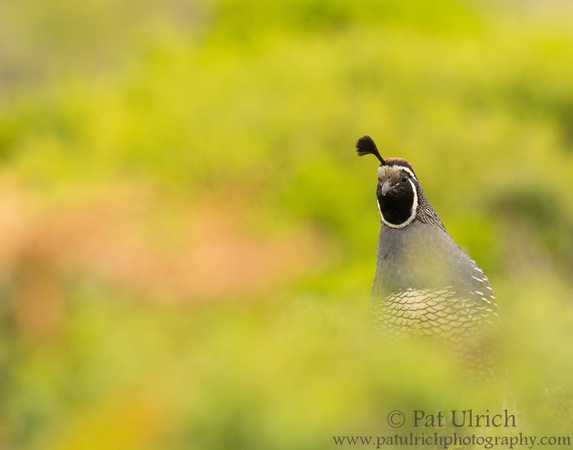 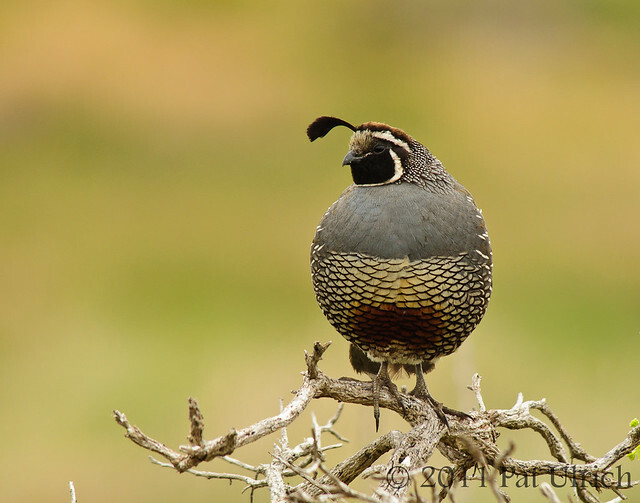 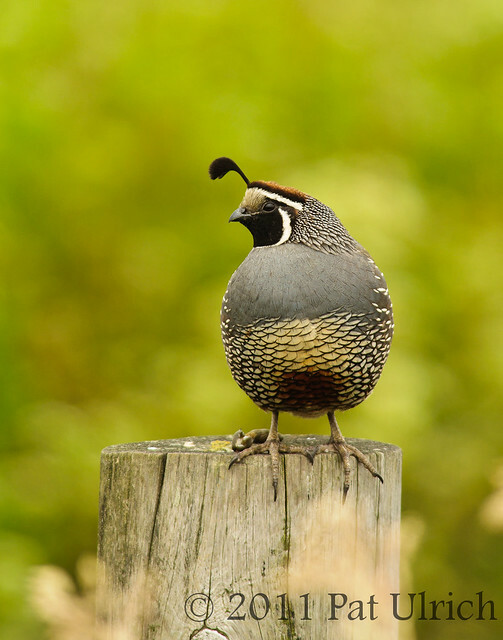 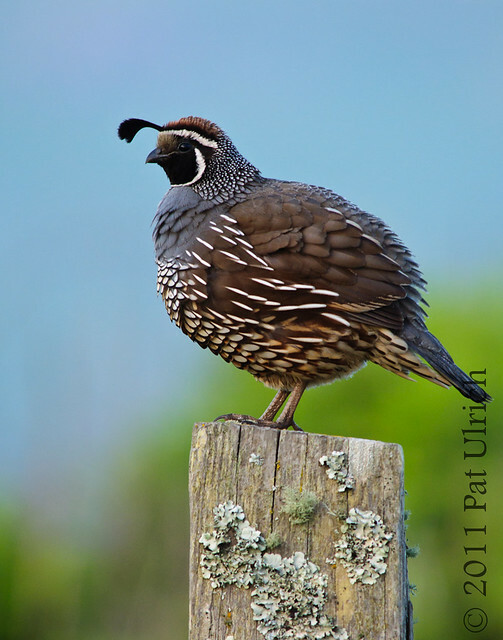 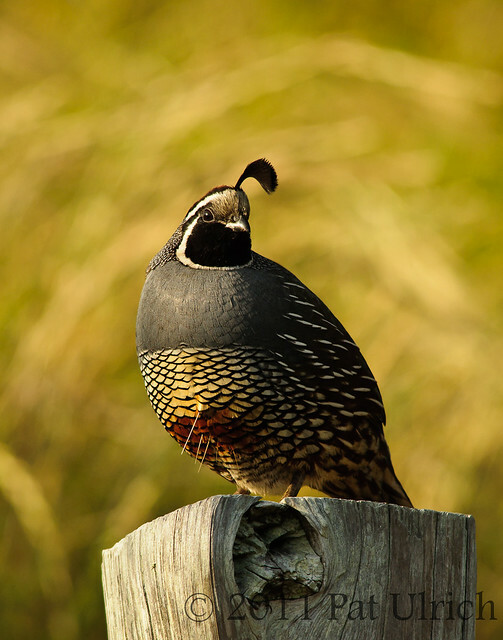 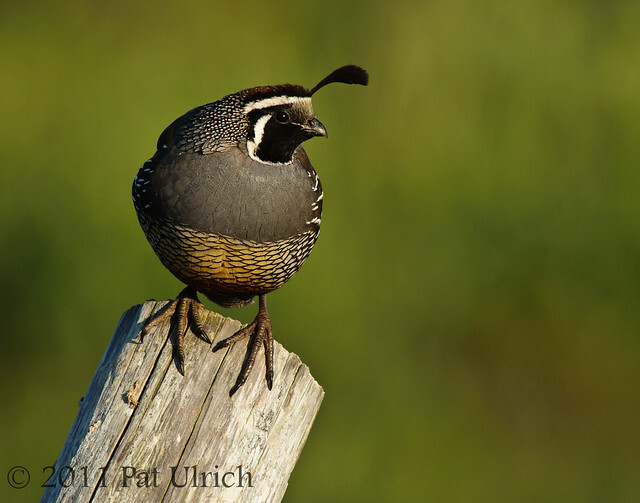 View more images of California quail in my Quail Gallery.